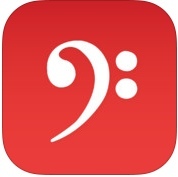 Notezilla is, at its core, an app that pairs music scores with high quality recordings. The app was originally released in April (2014), and there have been two additional updates (released in the App Store) since it was originally published. The app itself is free, and comes with five free songs–and at the current time, you can purchase all additional and future songs (locked content) for $4.99. The app itself is easy to operate; you can play a song at various speeds (the score must reload each time you choose a different speed), you can start or stop a song anywhere in a larger score, and you can zoom in or out to make music larger or smaller. I asked about copyright aspects of the music, as there are no credits on the app. All of the music itself is in the public domain, and the recordings are also either in the public domain or used with permission. 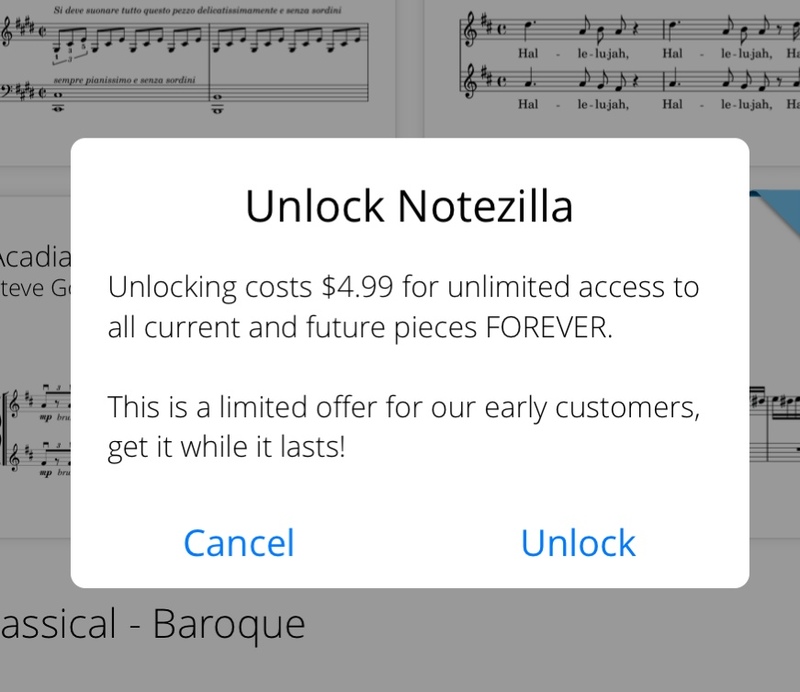 In some ways, Notezilla is a “poor man's The Orchestra,” one of the apps recently featured by Apple (along with Notion for iPad) in their “Your Verse” advertising campaign. 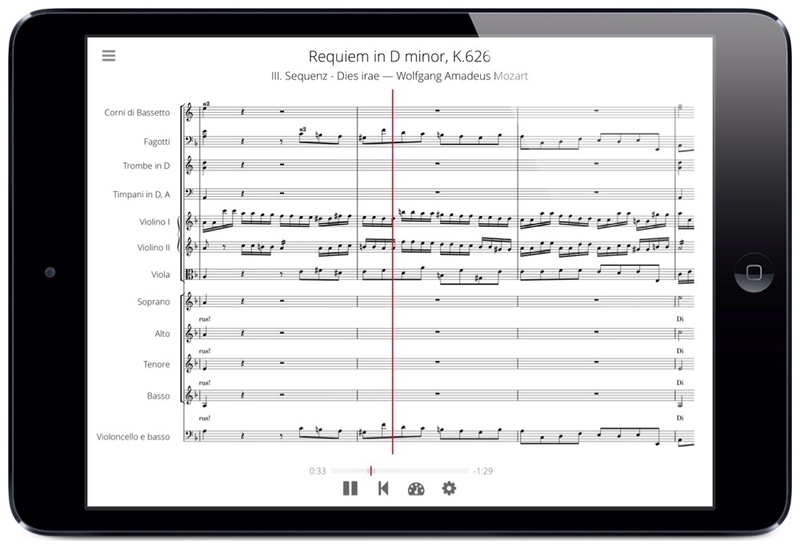 The Orchestra features videos, interviews, background text, and multiple ways of experiencing a score (for $9.99), but with parts from eight longer compositions. In comparison, Notezilla only shows and plays a score, but has the potential to add additional compositions, and even asks for users to make suggestions for future literature. The app, as it stands, may not be very useful for secondary schools (other than music history classes), as the source material is in the public domain (basically published before 1929), and most secondary band and choral scores are newer than that; additionally, as the music is synced with a recording, there is no way to play “just” your part, or to do a “music minus one.” If you are looking for this kind of functionality, you will need to scan the music you are working on and then utilize notation apps or SmartMusic for that kind of work. There may be changes to Notezilla in the future that will add this kind of functionality. I see Notezilla as being a great tool for music appreciation or music history classes (once the library grows). If the music on Notezilla could cover the works of many of the existing required listening lists of many collegiate music appreciation and music history classes, students would have instant access to scores and audio recordings without having to purchase those items (I spent hundreds of dollars on scores and recordings in my collegiate experience) or spending hundreds of hours in libraries. If you could get access to those scores and recordings for $4.99 in your own room, well, that's a bargain beyond belief. The only current “shortcoming” of the iPad app is that there is no way to advance to a particular place in a score without scrolling, something that would be difficult to deal with in a long composition with a lot of repeated material (in other words, how do you know where you are without measure numbers or rehearsal markings?). If yo don't have an iPad, you can access Notezilla by going to their website (Notezilla.io), where you can interact with their scores much like on an iPad. 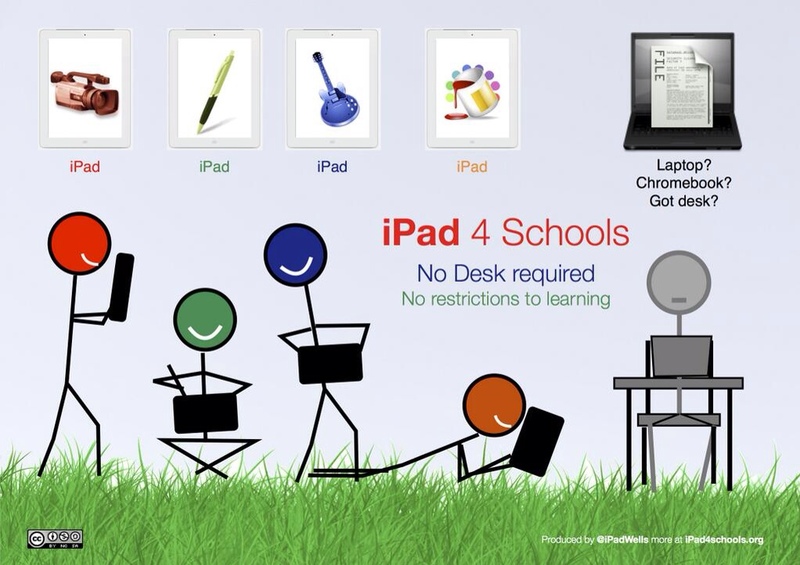 This is a good business model; if you don't have an iPad (the most popular tablet in education), you can experience the app on other devices, including the Chromebook (I have tried it) and Android tablets (I have tried this as well). One word of caution: your iPad IAP will not grant you access to locked scores on the web, and vice-versa. This means that if you want both iPad and web access, you will have to spend $9.98, which is still less than a CD. The developer has stated that they expect to release a big update in August with more content and some additional features. The model for the app/web application may change from a $4.99 all inclusive model to a different pricing model in the future, so if the app is interesting to you, it might be worth an investment sooner than later. The only complication with Notezilla for 1:1 schools is the In-App Purchase, as businesses and education still cannot purchase IAPs in bulk. I wish that every app with an IAP also sold a full version (this includes GarageBand) so that schools could purchase apps with full functionality. Notezilla is free on the App Store, and the functionality of the app can also be seen on their website, notezilla.io. Addendum: TUAW blogged about Notezilla today and mentioned that the developer plans to add one score each week to the app. In a short amount of time, that will add up to a lot of content. 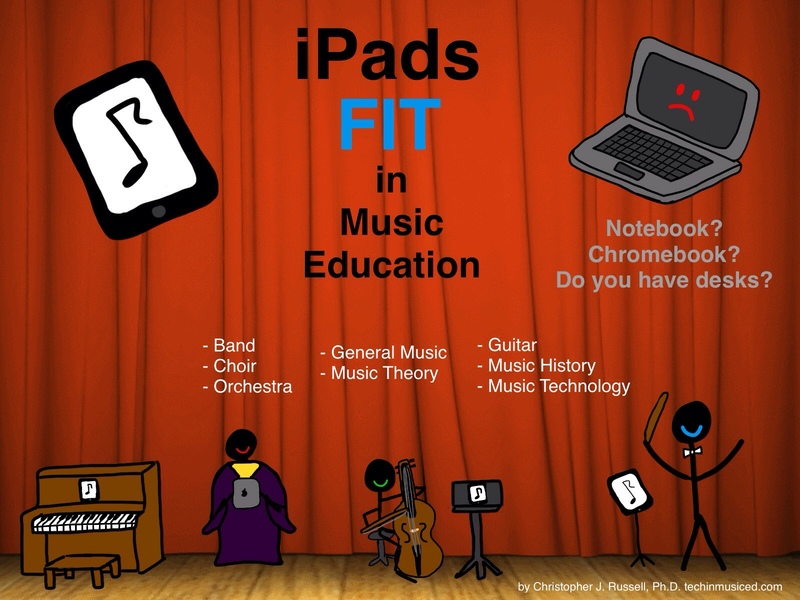 This past year, Peter Carney and Brian Felix teamed up together to bring an interactive iBook on Music History to the iPad. They have had a printed book and a website (www.interactivelistening.com) for some time, but the goal was to bring music history and music appreciation to students using technology in a way that would make them excited and interested about the subject, rather than through a traditional approach of a textbook and a CD series. The result? Interactive Listening on the iPad. Until the next version of the Mac OS X operating system is released, you will need an iPad (or iPad Mini) to buy and open this book in iBooks (The next version, Mavericks, will allow iBooks on the Mac). Teachers in the 21st century are constantly dealing with the issue of technology – not only how to incorporate it into the classroom, but also competing with the myriad devices and media that are always vying for students’ attention. While teaching at the City Colleges of Chicago, Prof. Carney and I have been faced with the fundamental question of how to keep students of the digital age engaged in an introductory music history class. Almost everyone listens to music, loves music, and can benefit deeply from the study of music if they are given a roadmap to discovery. What we’ve found is that if the students are given this roadmap of how to interact with the music, they become infinitely more engaged and glean far more from listening and reading assignments. Typical textbooks, while they serve a purpose, fall short of bridging this gap. Combined with reading assignments and in-class explanation, this book serves as a new guide to music history for a rapidly changing era. Our classroom discoveries mentioned above have served as the fundamental guiding principle for this book: targeted assignments for listening and reading that call the student to dig deeper into the music – to draw upon their own musical experience (trained or untrained) to unlock the secrets that the music holds. Inside this book we’ve presented interactive listening activities for music from Hildegard to Radiohead that reaches out draws in the 20th century student. Often these assignments incorporate modern technology in order to assimilate the wider world of media that we have available at our fingertips. Excerpt From: Peter Carney & Brian Felix. “Interactive Listening.” v1.0. Interactive Listening, 2013. iBooks. The book features various levels of interaction with the student, not to mention the student and the teacher. There is a wide variety of audio examples, the book is popping with great visuals, and YouTube videos are embedded in the textbook (this is really important, as videos take up a huge amount of space). There are quizzes throughout the book that can be completed on the iPad and e-mailed to a teacher. The only caveat is that you will need a connection to the internet to access those Internet-based resources. The book could be used as a textbook in a collegiate music appreciation course, a high school music history course, or as a supplementary teacher resource in any music class. Although the book may seem expensive ($14.99) from the iOS app perspective, it is a bargain as a textbook, as all the resources you would need are embedded directly in the iBook itself. You can download a free sample of the book from the iBookstore, or you can watch this YouTube video. I have had the pleasure to meet Peter Carney–he's a great guy, and he and Brian Felix have done a wonderful service for music education in providing this iBook, not only for the book itself and how it can relate to today's students, but also in paving the way for iBooks in music education.